If you are looking for an exercise to get your children active, or are wondering about why swimming is regarded as one of the most beneficial activities for young people, look no further than our following A – Z to the benefits of swimming for kids. Active lives – Kids who live active lives are happier, healthier and smarter because they keep their blood pumping through their bodies and brains, which is essential for development in children. Balance – Our bodies have to maintain a streamline, horizontal body position when we swim, so swimming regularly can help children develop and improve good balance. Confidence – Swimming is a great confidence builder, helping children become body confident and develop belief in their athletic abilities and in their social skills, especially as part of a team. Dedication – Becoming good at swimming teaches children to become disciplined. They may have to dedicate more time to the pool, and give up other activities to become better. This level of dedication at an early age can set children up for difficult decisions in the future. Endurance – Swimming builds your kids' muscles and their lung capacity as well as providing the strength of character to push further and endure longer. Friends – Whether as part of a team or as an individual, swimming is a great way for kids to meet people from different backgrounds and other schools, particularly when participating in championships. Good times – Being a confident swimmer means your child will be able to take part in a huge range of fun activities, such as splashing about in the sea, kayaking, sailing or going to water parks. Health – There is no better sport for overall health than swimming. It’s great for your heart and circulation, provides natural, low-impact resistance for building muscle and as it challenges your body it will help release endorphins - your body’s natural pain and stress fighters which also make you feel happy. Intelligence – A study has shown that holding your breath can increase your intelligence. Professor Win Wenger says that whenever you start to give attention to any awareness of stimulus, you hold your breath, and your breath is a pace maker for your attention span, so the longer you hold your breath the more you can take in. Swimming, he says is THE best exercise for building lung capacity, which enables you to take in more information. 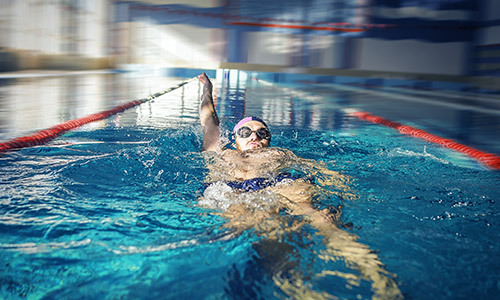 Joints – Because of the natural support and resistance provided by water, swimming is a fantastic activity for developing strong joints and for exercising joints that are injured or damaged. Keeping going – Swimming is a great way to teach determination in children, because you can’t give up half way across a pool or half way towards shore. Life saving – Being able to swim is a skill that your child will use to keep safe throughout their life and through accredited lifeguard programmes, your child could also learn to save others. Medals – Achieving success at a young age can help build confidence. Many swim schools and competitions award successful swims with medals, which provide children with tactile emblems of their success, to build confidence even when outside of the pool. No equipment necessary – You don’t need a pool, you don’t even need trunks or a costume, you just need to find a lake, river or ocean and you can jump straight in (so long as you take the right precautions, check out Wild Swimming for ideas). Swimming is a sport that can be enjoyed by everyone. 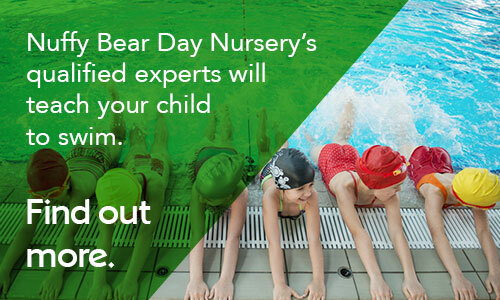 Outdoors – What better way for your child to experience the great outdoors than diving into its great bodies of water, floating at peace in the wilderness or exploring the seabed? Playing – Swimming is a great opportunity for children to play with other children, whether siblings or acquaintances. Playing is an important part of children’s social development, teaching them to accept differences, assert themselves and consider others among many benefits. Quality time – In a pool or at the seaside during breaks from work, swimming is a great opportunity for parents and children to bond with their children and share quality time in otherwise busy lives. Related sports – Swimming can be a gateway to a wide range of sports, from waterpolo to surfing, competitive diving to triathlon. Safety – Because safety is an essential part of learning to swim, your children learn to be safety-conscious and to be more aware of hazards. Training – To become a competent or advanced swimmer training is essential, providing your child with a routine to follow that will set them up for life. Underwater world – Learning to swim will open up your child’s access to a whole other vast world that exists beneath the water. They’ll learn first-hand about sea life, the environment and history when exploring under the waves. Vigour – Swimming’s benefits for physical and mental wellbeing mean your child is helped to grow up with vigour. Weight – Because water is around 800 times denser than air, your body has to work harder to go further, so you burn more calories, keeping your child at a healthy weight, or helping them to lose extra pounds to improve their health. X-Factor – Because swimming is such a comprehensively great sport for health, wellbeing, social skills, dedication, mental attitude and more, it provides children with that X-Factor that will help them in all aspects of their life. Year-round activity – Come rain or shine, winter or spring, swimming is an activity that your child can enjoy all year round. ZZZZZZZZZZZ – Because swimming uses huge amounts of energy, your children will better fall into a deep sleep in the evening, helping them to develop, rest and have more energy the next day.